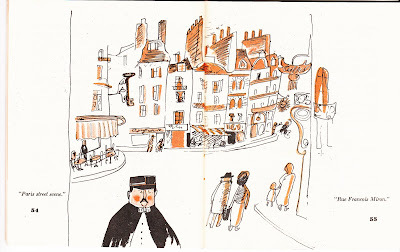 I am collecting French or Paris ephemera for an upcoming art project, but that is another blog. 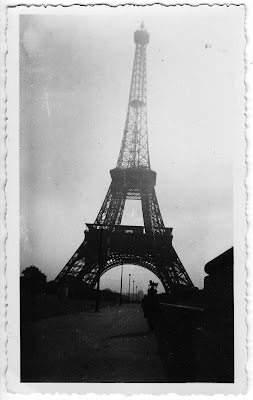 Here are a couple shots that my Dad took when he was in Paris during WWll at the Eiffel Tower. And if you have been there you know that it looks a lot different. 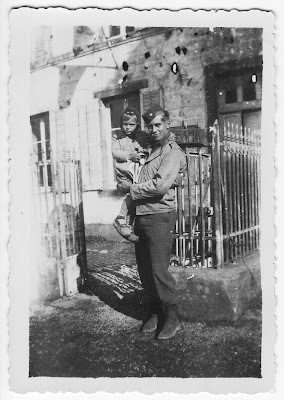 This is Dad with a little French girl. 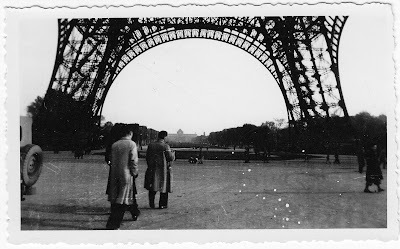 The back of this photo says: In front our our schoolhouse home. I assume they were being housed in a schoolhouse. 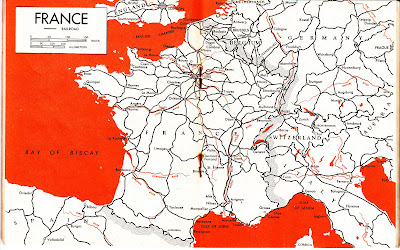 Here is an illustration from Dad's Pocket Guide to France. This was an interesting read in part because it was before my time. So the information is from a by-gone era. This was a small manual for the soldiers to use to acclimate themselves for their stay in France. I learned: French beer is flatter and more slippery than our beer. Don't think peasant means hick in France. And: You are a member of the best dressed, best fed, best equipped liberating Army now on earth. Let us remember our likenesses, not our differences. The Nazi slogan for destroying us both was "Divide and Conquer" and our American answer is "In Union There is Strength."